Perfect choice for award ceremonies, festivals, theatres, corporate events, private parties, and many more! 4th Impact is a Philippine girl band formed by four sisters from Santiago City, Isabela. Also known as Cercado Sisters, Gollayan Sisters and MICA (the initials of their names), 4th Impact reached international recognition after the participation in the X Factor. A multi-award-winning quartet, this Philippine vocal group started their musical journey together back in 2001. They participated in numerous vocal group championships and won several including the Junior Vocal Group Grand Championships of the World, the World Championships of Performing Arts (WCOPA) and the Senior Vocal Group Grand Championships of the World, among others. Also awarded with numerous gold medals and trophies, they have been involved in various talent reality TV shows in their native Philippines including Talentadong Pinoy (TV5) and It’s Showtime (ABD - CBN), not to mention their appearance on South Korea’s Superstar K Season 6 (MICA). This Philippines vocal group reached international fame when they became part of the UK X Factor competition in 2015. In fact, Their X Factor UK audition video of Jessie J’s song ‘Bang Bang’ is currently the most viewed video on The X Factor UK Youtube channel with over 132 million views and counting! 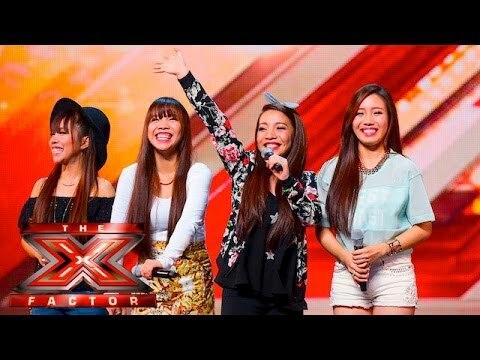 This phenomenal X Factor girl band’s other major achievements include a nomination for the BEAM Awards in the Music Group / Band of the Year Category and in the National Reality TV Awards 2016 under Best Performance in a Reality TV Show (The X Factor) Category. On top of that, this Philippine girl band’s 10th Year Anniversary Concert at the Kia Theatre won as the Best Major Concert by a Group Category during the Aliw Awards Night in 2018. Well-known for their powerful vocals, formidable stage presence and perfectly choreographed performances, 4th Impact has become an in-demand entertainment option for a wide range of events including award ceremonies, festivals, theatres, corporate events, private parties, and many more! Guaranteed to become the highlight of your event, this Philippines girl band will sure leave a lasting impression and get people talking for years to come! Hire 4th Impact for your event!